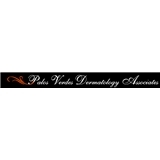 Palos Verdes Dermatology Associates, Inc. (Rolling Hills Estates) - Book Appointment Online! Palos Verdes Dermatology Associates, Inc. has an outstanding group of physicians, medical staff, and office personnel who are committed to providing the highest quality of dermatology care possible. We accept personal responsibility for out patients’ satisfaction and endeavor to meet, if not exceed, their expectations. What an amazing caring Doctor! Dr. Fein was knowledgeable, personable, and professional. We will definitely return and recommend him to family and friends!